Check off another box on the Fraser Institute’s libertarian to-do list. To understand the brouhaha surrounding the long census, look not to Stephen Harper, but to the libertarian Fraser Institute and its long-term agenda to get government out of every activity except to protect the market, including the market for statistics. The Fraser has been Harper’s most vociferous ally outside government in attacking the long census form. Within government, Maxime Bernier leads the cheerleading. Before Bernier went into politics, he was vice-president at the libertarian Montreal Economic Institute, the Fraser’s sister organization in Quebec. Think mid-term exam when you ask why the Harper government is scrapping the long census form. Harper is simply testing the waters to determine how far the project to remake Canada into a more conservative society has proceeded. Certainly progressive and middle-of-the-road organizations are lined up in support of the long census. But that wouldn’t be news to Harper; nor could he care less. What really counts is the thinking of enough members of the voting public in the quest to achieve the elusive majority government. The Conservatives are probably polling furiously in the ridings that can bring them this treasured prize. Has the climate of opinion shifted far enough to the right for this to happen? And how does the climate of opinion shift? 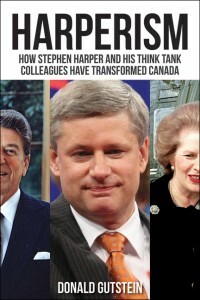 Tom Flanagan, a former Harper advisor and University of Calgary political scientist, wrote in Harper’s Team that winning elections and gaining control of government was the best way to change the climate of ideas. The prime minister gets to appoint judges and senior government officials and de-fund organizations, and gradually public opinion shifts, Flanagan offered. The second-hand dealers would then distribute the report cards, studies, indexes and op-ed commentaries to the public. Gradually, over many years of repetition, the climate of ideas would become more favourable to a person like Harper getting elected in the first place. There is still a long way to go. Starving government for funds — and information — is key. The Fraser Institute is staying the course, but some libertarians blinked, opting, perhaps, for a more incremental approach. Tasha Kheiriddin, who has been director of the Fraser Institute’s Montreal office and a vice-president of the Montreal Economic Institute, admits the long census has its legitimate uses. Government needs statistical information, she wrote in a recent National Post commentary, to properly discharge its responsibilities, such as building new roads. This concession is a denial of libertarian principles. In a society run by market transactions, private companies would decide, based on information they collected privately, that a new road could be profitable. They would build the road and then charge tolls for its use. Drivers could decide to use it or not. No need for government policy, funding or information. We’re a long way from that day, but we’ve already come a long way in the 35 years the Fraser Institute and its libertarian think tank allies have been working diligently to shift the climate of ideas — and political power — to the right. This story was first published by The Tyee.